Alcohol is seductive to people with ADHD. There’s something about the “numbing effect” that alcohol has on the ADHD brain which makes having a few drinks extremely attractive. But, as you probably know, ADHD and alcohol consumption is a tricky subject. People with ADHD are by definition impulsive, inattentive, or a combination of these two traits. So, having ADHD automatically puts you in one of the “highest risk” groups for alcoholism and substance abuse. 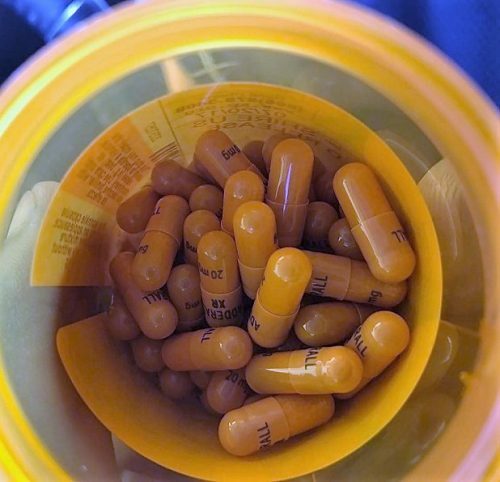 Some studies suggest that people with ADHD are two to three times more likely to face substance abuse issues in comparison to the general population. Should people with ADHD drink alcohol socially? What about using alcohol in combination with ADHD medication? If you can comfortably handle drinking alcohol, then you should be perfectly OK. But for many people with ADHD, drinking alcohol is a slippery slope. This is because people with ADHD already experience “decreased activation” in the frontal lobe of the brain. Your brain’s frontal lobe is responsible for your executive functioning, which constitutes activities like thinking, problem solving, attention, memory, and organization. In people with ADHD, these executive functions are impaired to begin with. Additionally, research also shows that people with ADHD have a smaller prefrontal cortex in comparison to normal populations. 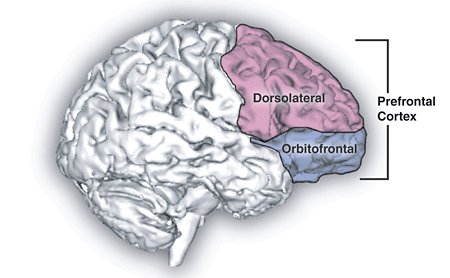 Your prefrontal cortex is the part of your frontal lobe that’s responsible for regulating movement, managing behavioral responses, controlling impulses, and more. So, most people with ADHD already have a hard enough time avoiding embarrassing behavior, managing emotions, and staying in control while sober. Alcohol also affects your frontal lobe – specifically the prefrontal cortex (1). So if you have ADHD and you drink alcohol, you’re probably increasing your odds of experiencing uncontrollable behavior, wild emotions, and “crazy nights”. Drinking a little bit of alcohol with ADHD can be a lot of fun (obviously). But, if you have ADHD and you find it difficult to control your drinking, then you might put yourself in some pretty risky situations (I’ve been there before, and it’s not fun). By now, you should know that people with ADHD have a dysfunctional prefrontal cortex, and alcohol also affects the prefrontal cortex. This means that alcohol can have significant effects on people with ADHD. Alcohol is actually a sedative-hypnotic that also acts like a stimulant in some people (2). So, this is where things get pretty controversial. Small quantities of alcohol can definitely serve as an amazing tool for socializing, relaxing after a workout, or networking for your career. But, like most things in life, there’s rarely a “free lunch” to be had. If you have ADHD, and you let your drinking get out of hand, there’s a chance that you’ll eventually have to “pay the price” with your health, relationships, sleep quality, or something else. If you can comfortably manage the amount of alcohol that you drink, then you should absolutely be able to drink alcohol socially, even with ADHD. I drink alcohol very occasionally. I’ll usually have three or four drinks during a night out. The key is to never get drunk. There’s just no benefit to be had from getting drunk. Getting drunk is more of an escape than anything else. I would know, since I used to binge drink pretty regularly when I was in college. If you can keep your alcohol consumption to just three or four drinks, then you might even be able to take advantage of the health benefits of alcohol. So, there’s still a case to be made in regards to the benefits of drinking alcohol in moderation. The cognitive benefits of moderate alcohol consumption can absolutely be beneficial to people with ADHD. And, if you have the luxury of choice, I recommend drinking red wine whenever possible. Red wine has been around for thousands of years. It’s the most natural alcoholic beverage available. Plus, red wine is also the variety of alcohol with the most health benefits. Red wine contains the antioxidant resveratrol, which can prevent age-related mental decline, and fight against cell damage. California red wine also tastes delicious (FYI). Alcohol and ADHD medication is almost always a bad combination. This is because both alcohol and stimulant-based ADHD medication strain your cardiovascular system. When you use alcohol and ADHD medication at the same time, you’re making your cardiovascular system work extra hard. 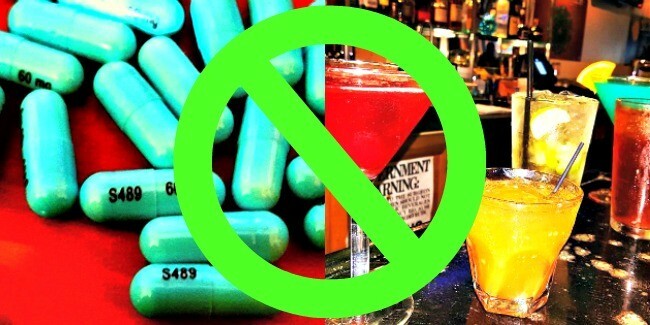 The other issue is that taking Vyvanse or Adderall before drinking alcohol can cause you to drink in excess. This happens because ADHD medication can make you feel “immune” to the intoxicating effects of alcohol, and cause you to drink more alcohol than you normally would. So it’s usually best to skip the alcohol if you have ADHD medication in your system. However, if your ADHD medication is mostly out of your system, then you probably won’t have an issue with a couple glasses of red wine. This is why some people are able to use ADHD medication during the daytime, and then enjoy a few drinks after work. By the time work or school is over with, most of your ADHD medication will probably have left your system. This usually makes it OK to enjoy a few alcoholic beverages after a long day of work. You should never use alcohol to fall asleep at night. I’ve heard way too many stories about people with ADHD who convince themselves that they can get away with occasionally using alcohol as a sleep aid. This usually happens because ADHD medication can make it difficult to fall asleep at night, and people think they can “occasionally” drink alcohol in order to fall asleep. But, this is a major slippery slope. It’s extremely easy to get in a habit of using alcohol to fall asleep at night. This is a dangerous habit. It happened to me. And, it’s happened to many other people with ADHD. If you have trouble sleeping after taking ADHD medication, then you most likely have a problem with your ADHD medication, lifestyle, sleep habits, or something else. To get better sleep at night without relying on alcohol, you can always change your sleep habits, experiment with different ADHD medications, exercise during the daytime, or talk with your doctor. If you need help with quitting alcohol or any other substance, then you need to be aware of something called post-acute-withdrawal syndrome (PAWS). The basic idea of PAWS is that you will probably feel bad after quitting alcohol. But, you will eventually feel a lot better. This happens because your brain needs time to adjust its neurochemicals after you stop using a powerful substance like alcohol. Your brain will essentially need time to “re-wire itself”. This means that you’ll experience the normal ups, downs, and mixed emotions that everyone who withdraws from alcohol must go through. This is entirely normal. PAWS can last for a number of months, or even several years, depending on the severity of your alcohol usage (3). But, once your brain returns to a natural state of balance, you will most likely think, feel, and live better. However, if you need additional support during the PAWS process, then I highly-recommend joining a local support group. 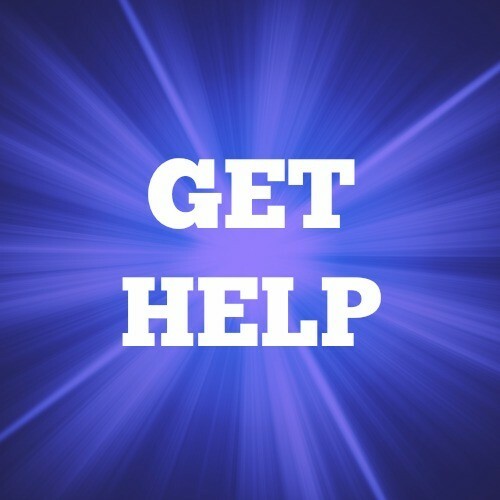 At a local support group, you’ll be able to connect with other people who are experiencing the same “rollercoaster” of emotions that you may be going through. This will help you emotionally and spiritually. And, if you happen to be a heavy or long-time user of alcohol, then alcohol withdrawal can be life-threatening. So, if you experience physical or psychological issues that significantly affect your quality of life, then it will be best to immediately chat with a medical professional. 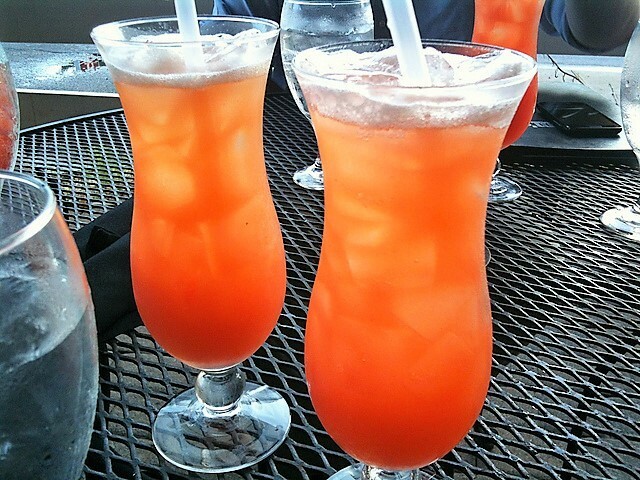 I drink alcohol very occasionally. So, I frequently use “alcohol alternatives” instead. The following alcohol alternatives should give you an uplifting buzz without causing you any harm. It’s becoming more common for people to drink coffee instead of alcohol. If you’re a productive type of person with ADHD, and you don’t want to wake up with a nasty hangover, then there’s absolutely nothing wrong with drinking coffee rather than booze. If your friends make fun of you for this, then you might need better friends. Coffee can even provide you with some excellent health benefits, like improving your cognitive function, and lowering your risk of depression . 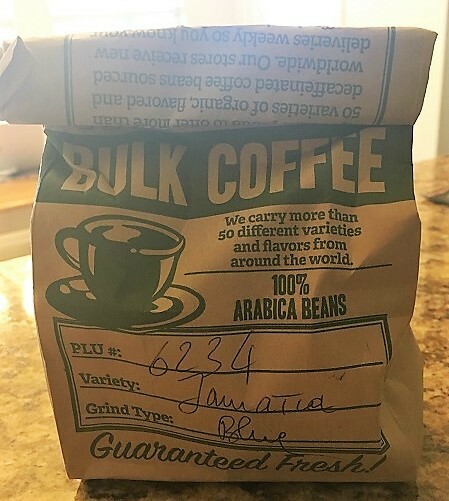 To brew a great pot of coffee, just visit your local health food store, and pick up some high-quality coffee beans. And make sure to use clean, filtered drinking water to brew your coffee. After drinking a couple cups of coffee, you’ll probably be the most alert and in-control person out of your group of friends. Kombucha is probably my favorite alternative to alcohol because of how great kombucha tastes, and how happy you feel after drinking kombucha. Drinking kombucha is especially great for your gut health, because kombucha is loaded with probiotics. When you improve your gut health, you literally feel better. This happens because the health of your gut is linked to your mood, emotions, and even your level of anxiety . Best of all, when you drink kombucha out of pint glass, people will assume you’re drinking alcohol anyway. I like the Tealixir Herbal Kombucha Variety Pack (Amazon) the most. This is some delicious, healthy kombucha that instantly makes you feel good. A study from Indiana University shows that the use of ADHD medication leads to a significantly lower risk of substance abuse problems. The study actually found a 35% reduction in risky behavior in men, and a 31% reduction in risky behavior in women. This makes sense, because when your brain gets the dopamine that it craves from ADHD medication – you usually won’t feel as tempted to engage in risky behavior. ADHD medication is ultimately a better choice than alcohol most of the time, because you can make real progress in your life while taking ADHD medication (if you choose to). If you get in a habit of taking ADHD medication, there’s actually a chance that you’ll avoid drinking alcohol so that you can wake up early, be productive, exercise, and live a “cleaner” lifestyle. (The flip side is that this might turn you into a boring person. But, at least you’ll feel like a productive person on Sunday morning rather than a hungover mess). So, if you have ADHD, and you haven’t tried ADHD medication yet, then you might want to chat with your doctor, and explore all of your options. Please note: I’m not saying that you should always substitute alcohol for ADHD medication. I’m just sharing my personal life experience here. For example, when I significantly cut down on drinking alcohol, and started taking ADHD medication instead, I personally achieved better results in most areas of my life. Your results may be similar, or totally different. The key is to experiment, and find out what works best for your lifestyle. Yerba mate is a special type of tea from the South American rainforest. 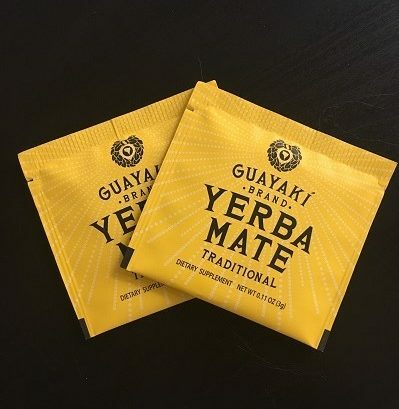 When you drink yerba mate, you’ll notice a major improvement in your mood and mental clarity. The benefits of yerba mate are pretty addictive. So, yerba mate is ultimately one of the best drinks that people with ADHD can consume. Yerba mate is also very healthy for you. I drink yerba mate almost every day. It’s that good. Kava is an anxiety-fighting plant from the South Pacific region that gives you an alcohol-like buzz. But, drinking kava doesn’t give you any of the nasty side effects that typically come with drinking alcohol. Drinking kava makes you feel warm, fuzzy, relaxed, and social. And best of all, when you choose a quality source of kava, it’s an extremely safe plant to use. 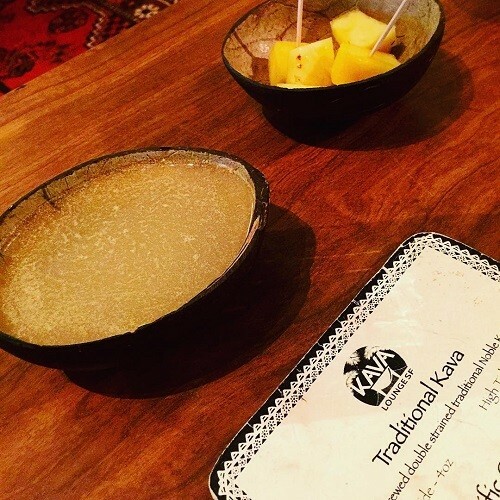 Kava is probably the most similar substance to alcohol available. So, kava is an excellent choice for those who need a safe, natural, and effective alternative to alcohol. Try some kava before going out at night, and see how you feel. There are also some awesome kava bars in U.S. cities that you can visit, too. In a perfect world, drinking alcohol shouldn’t be that big of a deal. 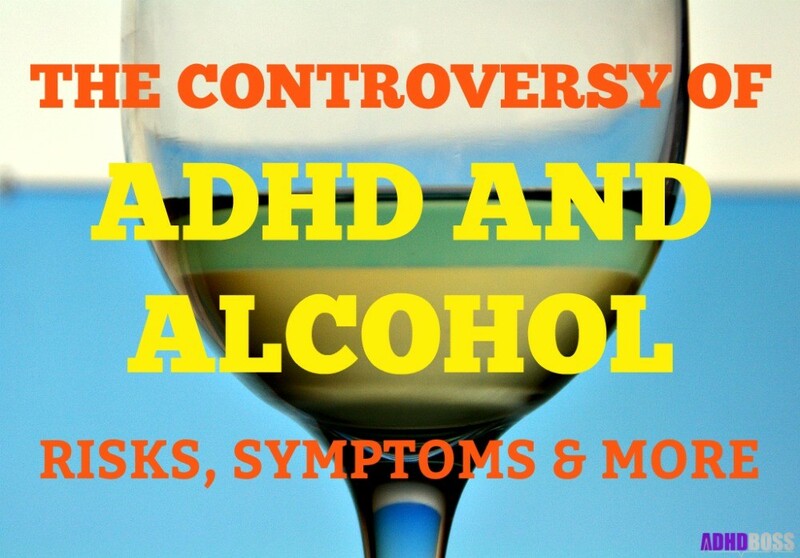 But, many people with ADHD will always find alcohol to be a controversial substance. This is just the nature of how ADHD brains are wired, and how alcohol affects the ADHD brain. Either way, I trust that you’ll be able to make the best decisions for your life – whether you choose to include alcohol in your life, or not. Do you have any thoughts on ADHD and alcohol consumption? Has alcohol made your life with ADHD better or worse? Please feel free to let me know your thoughts in the comments section below. I look forward to hearing from you. 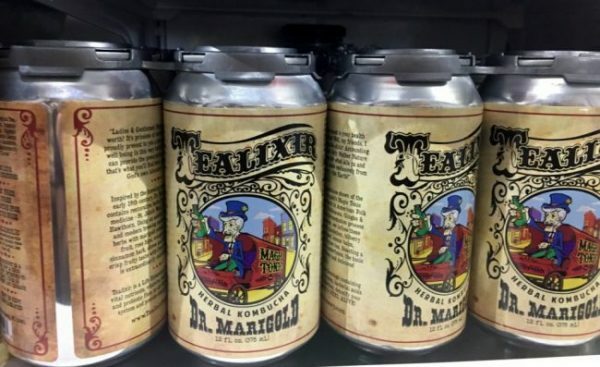 “The other issue is that taking Vyvanse or Adderall before drinking alcohol can cause you to drink in excess. Can you explain more about what you mean about this or site a reference. This is really interesting for me and would love to hear more about it. Sure, I’ll explain. It’s definitely an interesting phenomenon. I made this point based off my own personal experience, and the experience of many people who I lived with at one point. I lived in a big fraternity house in college, and there were plenty of guys who would use Vyvanse to study, and then go out drinking the same day/night. I don’t think they did this intentionally. But, they made it clear that if you accidentally take ADHD meds late in the day (late afternoon/evening), you might not “feel drunk” once you actually start drinking alcohol. This is obviously dangerous, since you could theoretically drink a lot more alcohol than you normally would (you wouldn’t really feel the effects of booze). You can also become extremely dehydrated doing this. But if you take ADHD medication in the morning (like most people do), and then drink alcohol at night, then I don’t think this is a problem at all, since the medication will be out of your system. Such a great article! Thank you so much for taking the time to share your knowledge. This can be a tricky topic to tackle, personally. It’s so easy to justify my drinking and say “I have it under control” but it’s so good when I’m challenged like from this article. I do believe I have it under control but I know it wouldn’t be hard for me to lose that control. I’m definitely it immune to addiction. Thanks a ton!! 🙂 I really appreciate this article and your time spent writing and sharing it! Thanks so much for the kind words Keith. I hear you on how easy it is to justify drinking. And that’s great to hear that you have your drinking under control! That’s always really good news. Slightly concerned that you make no mention of the problems with drinking coffee. -That it may well worsen distractive and impulsive behaviours. Also it’s good to know that kombucha can be made at home, and ‘Water Kefir’ is a good caffeine free alternative to kombucha which is made from tea! Thanks for the comment Liam. I think that everything in life is relative. If someone has an issue with alcohol, then coffee is almost always going to be a much safer and healthier alternative than alcohol. I completely agree that it isn’t a miracle drug, and it can absolutely create problems when abused. Not sure where you got the idea that coffee can worsen distractive and impulsive behavior though. Coffee is actually pretty calming to many people with ADHD, because of the unique way that the ADHD brain works. Some parents prefer to give their ADHD children coffee rather than ADHD medication, for example. And that’s a very nice tip on the water kefir. I’ve just looked it up, and it looks awesome. I’ll make sure to give it a try. Thanks for sharing your experience. It was very informative! I was not diagnosed until I was 45. But once I was it explained so much. Even so much about my father, who must have undoubtedly had ADHD as well. I always wondered why other people could drink coffee to wake up and it just seemed to calm me down. Later, the doctor told me it was a way of self medicating. I will try the other drinks you suggested too. Thank you. You’re very welcome Charene. Thank you for reading. Yes, being diagnosed is actually a huge relief. That’s awesome to hear that life is making more sense for you now. I got diagnosed with ADHD in my early 40’s and it suddenly put my whole life in perspective. learnt control my drinking and see the positive and negative effects it can have for me personally, just as you have mentioned. Coffee allows me to hyper focus, but it has the residual after effects such as poor sleep or adrenal fatigue, so some of the alternatives you mentioned are great. For me, a low carbohydrate, low/no sugar diet and supplements like Ginko Biloba work well to keep my easily distracted mind in check. Thank you for the kind words Ben. I really appreciate it. Yes, I’ve shared the same love/hate relationship with alcohol as you. But that’s great to hear that you’ve figured out a proper diet and supplement stack that works for you. I wish you the best going forward Ben. Thanks again. I have ADHD and have been drinking for over a year now. I used it because it was fun at first, but then it turned into something I used because my ex broke up with me for three months over the summer. Went back to school and now I’m really struggling to quit. I started to use it to sleep, but then I quit for a good 6 weeks. However, I’m back into it. I just can’t seem to shake the habit with the ups and downs with break ups. It’s literally kills me knowing that I have a problem, but I get so emotional in the evenings. ADHD and alcoholism is hard enough…. James have you tried chatting with a counselor about this? It’s an extremely common issue and you are not alone! Thank you for posting this article. I’ve struggled with drinking. It’s hard for me to stop once I’ve started. I don’t drink all day, just 3-4 strong vodka drinks every night. I’m going to see if I can make the switch to coffee because this is horrible for my body and I also get the urge to smoke cigarettes. I drink kombucha and kava. It’s not much help but coffee in the morning has. Time to start trying to drink it in the evenings! I hope this will save me. I’ve asked my husband to help me but he drinks every night so it’s very challenging. Have you tried switching to red wine? Two glasses of red wine every night shouldn’t hurt at all. Some would say that’s even beneficial for your health. The key is keeping yourself to 2-3 drinks max, and try to cut down on the cigarettes (honestly, I’m a believer that a couple of cigarettes probably aren’t going to kill you either…the key is limiting your consumption). Which ADHD Medication to you take? Hi Coleen. I used to take Vyvanse. But now I’m just “natural”.